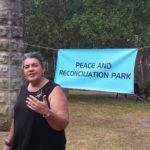 ‘Richardson’s Lookout – Marrickville Peace Park’ was the location for this year’s Anzac Day Reflection in Sydney organised by Gallipoli Centenary Peace Campaign (GCPC*). The event attracted over 50 people who came together to pay tribute to Australian soldiers killed during WWI and other wars that Australia has engaged in. This includes all Indigenous Australians who served in these wars, including the 500-600 who fought in WW1 and who have only been fully recognised in recent times. As the name suggests, however, Anzac Day Reflections aim to do more than honour Australian casualties of foreign military engagements. A primary goal of these gatherings is to reflect on how the slaughter and maiming of a generation of the country’s youth actually came about over 100 years ago and how such calamities can be prevented in the future. 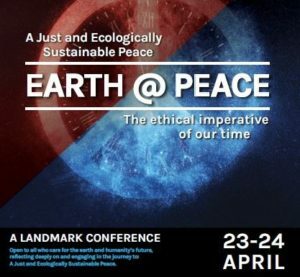 A report on the event with links to speeches and photos can be accessed here. 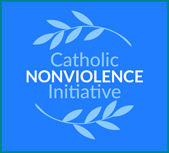 * GCPC is a coalition comprising members from Pax Christi NSW, Marrickville Peace Group, Marrickville Greens and the former Marrickville Residents for Reconciliation.